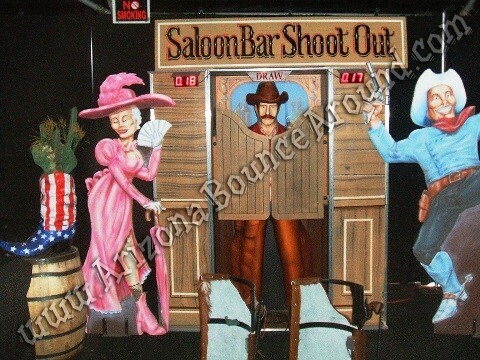 Our Saloon Bar Shootout is a two player interactive game that talks, has a moving mouth and sprays water on the slowest draw for a great surprise to the game. 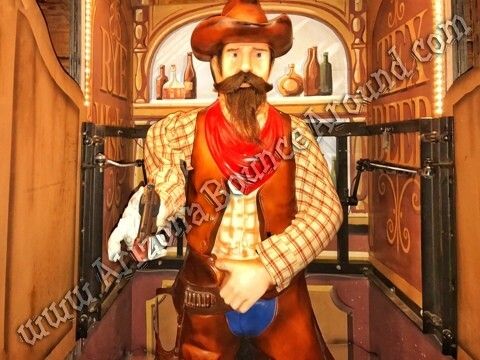 It has two chaps with holsters attached and you put one leg in to start the game. 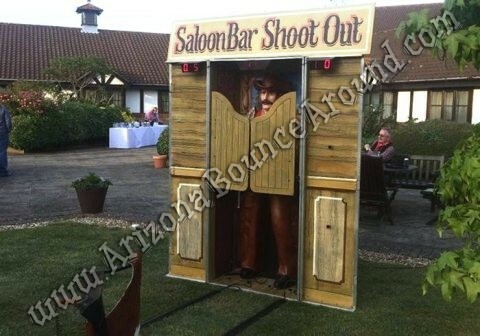 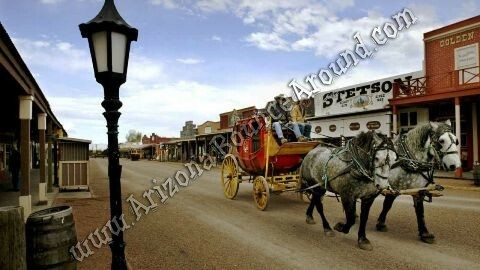 After the saloon doors open the cowboy gives instructions then it's time for action. 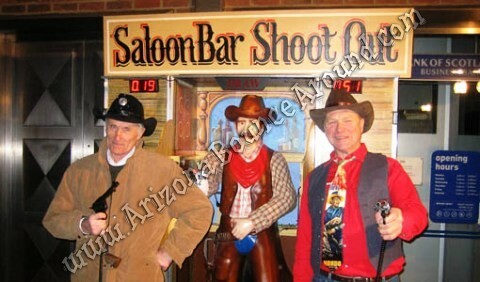 It gives you three chances per game so it would be best 2 out of 3 for the quick draw competition. 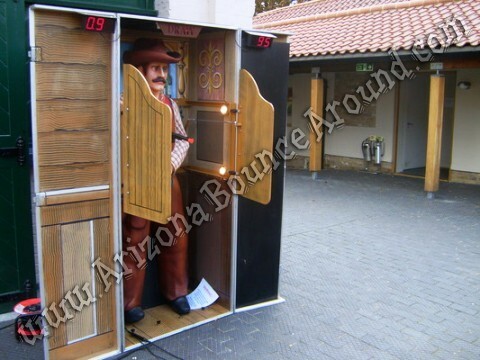 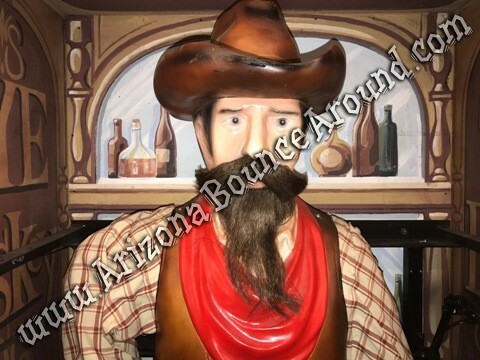 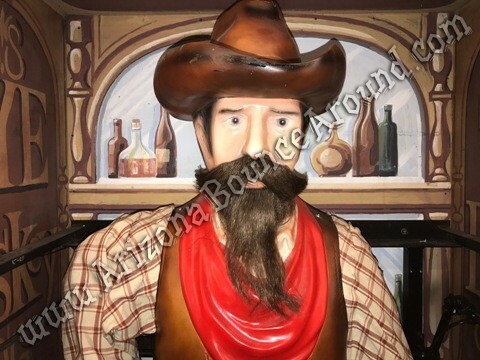 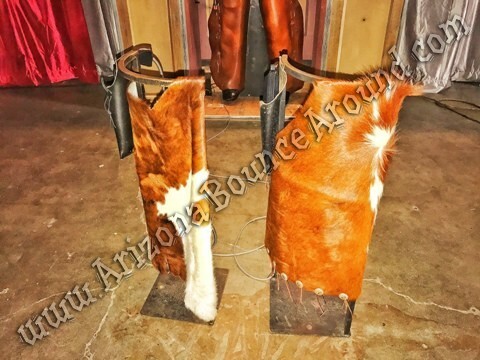 We have a ton of western games and activities for every age and every party type so have a look around our website or call one of our party planners for help.